Ever wondered how much food you can grow on a small city lot? This is my record of what comes out of my little city food garden. In the spirit of keeping it simple I am using a running total for the year, loosely organized in order of harvest date. Maybe one day I will get fancy and break it up into seasons, days to harvest, spaced used or something more detailed but for right now the harvest count is mostly an experiment. 41 Salad Spinners of Miscellaneous Salad Greens: Counted by salad spinner full. One spinner is roughly equivalent to a 5oz clam shell of “spring greens”. 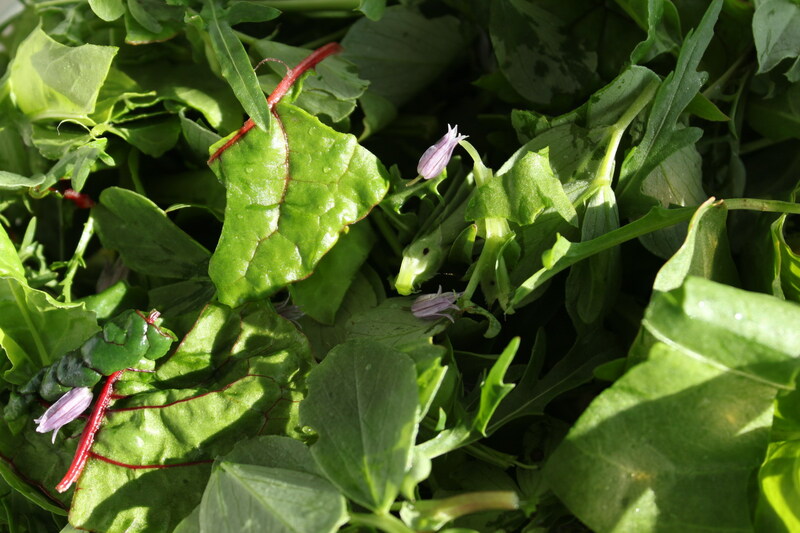 Arugula, sorrel, spinach, chard, beet greens, fava leaves, pea leaves or anything else that I find around the garden to eat as salad is counted here. 2 salad spinners of Arugula: Counted by the salad spinner full, one spinner is roughly equivalent to a 5oz clam shell that you could buy in the store. 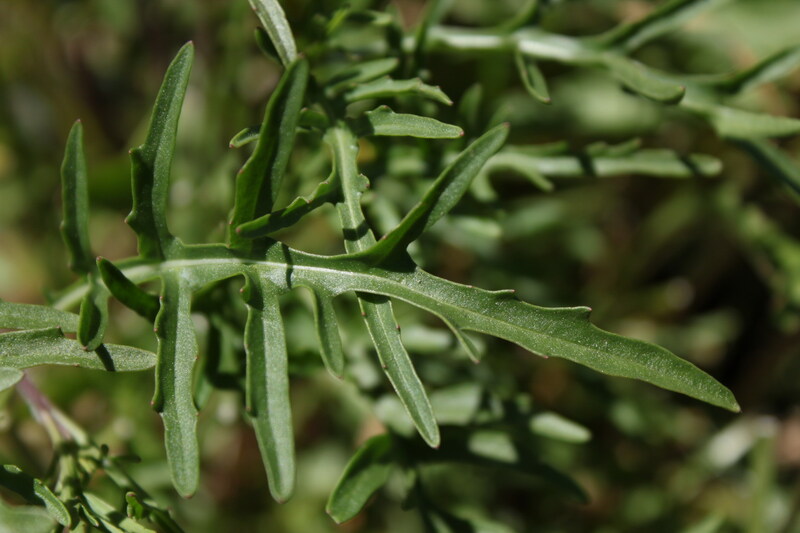 Arugula is a perennial staple in my garden. My favorite perennial salad green to be sure. 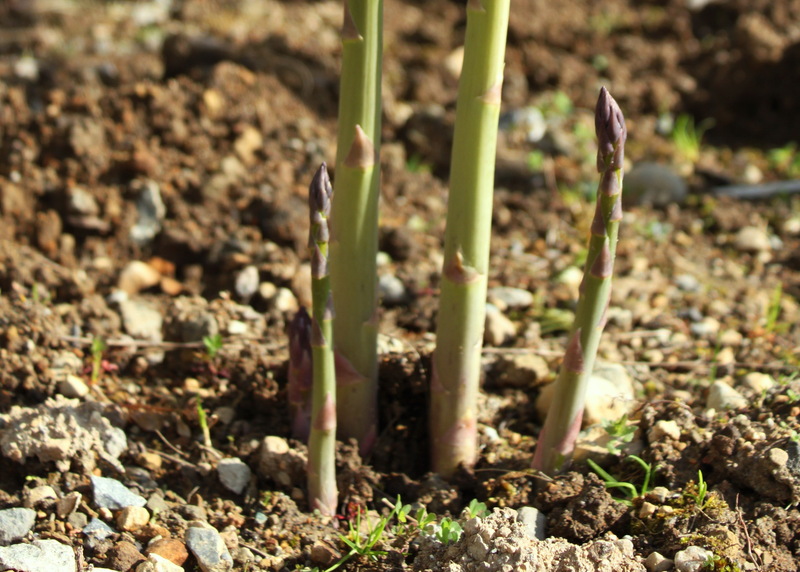 36 Asparagus: Counted by the spear, nothing you can get in a store compares to fresh home grown asparagus. I have 10 plants, rarely do all the spears come up at once maybe they will produce more uniformly as they age but I have yet to harvest enough to use for a meal on their own. 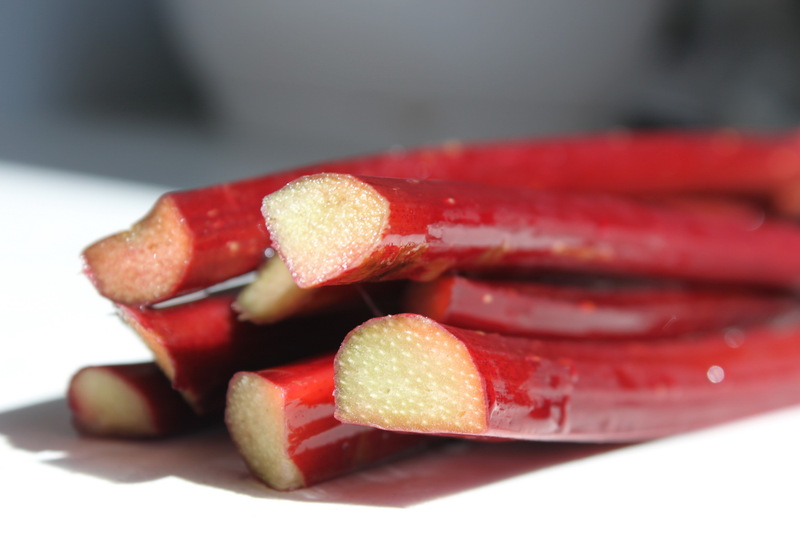 14 Rhubarb counted by the stalk: I love rhubarb, I know this is not a widely popular perennial food but its sour identity always reminds me of being a kid and getting a palm full of sugar to dip fresh rhubarb canes in, right out of our food garden. 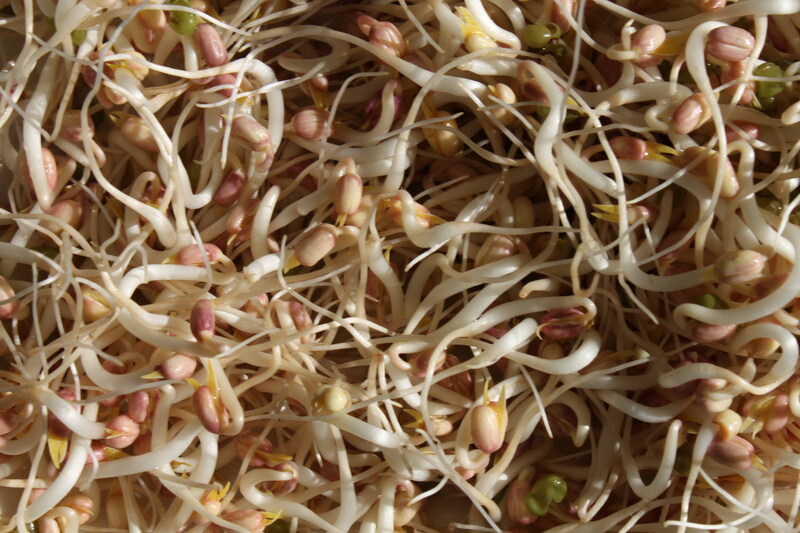 0 Cups Bean Sprouts: Counted in cups. Technically not grown in my garden, I sprout sprouts in my kitchen cupboard! I figured I would include sprouts because we eat a lot of them and they are home-grown produce. scavenging fresh strawberries out of your own yard. 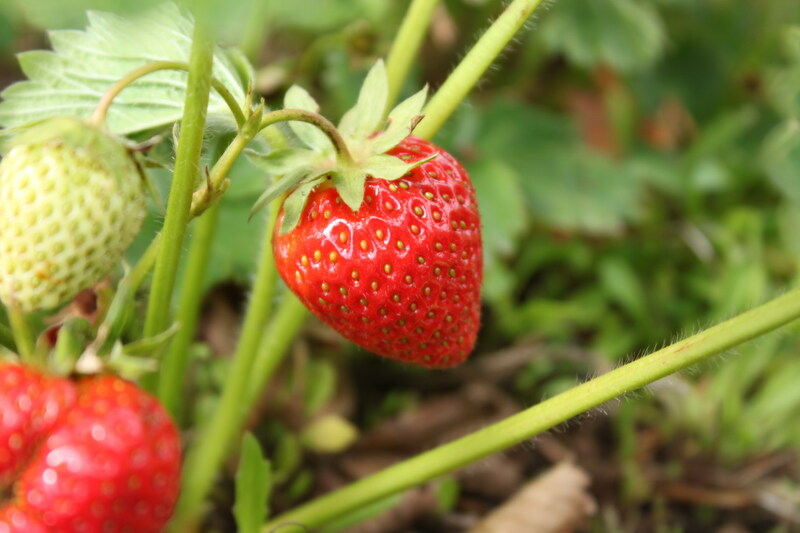 I grow several different varieties, I don’t have a huge strawberry patch but can usually get a few berries to nibble on each day June to October. 200+ Raspberries: Counted by the berry. 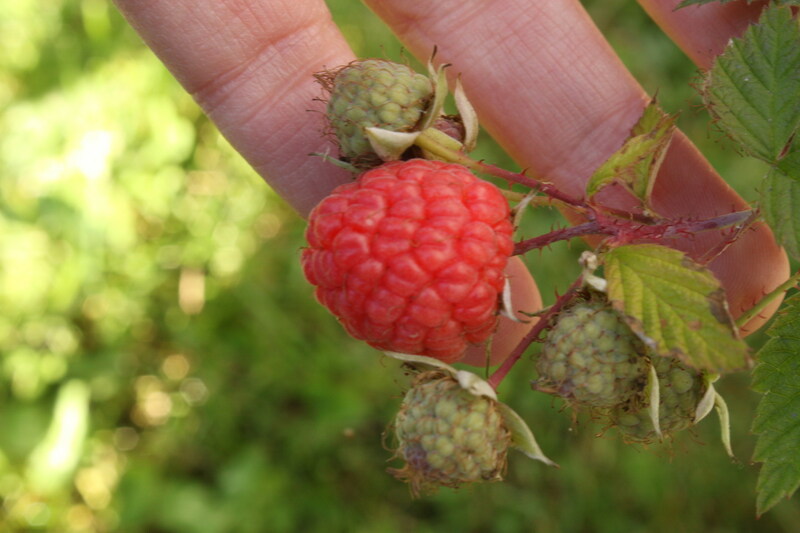 I grow a small strip of red and yellow raspberries along the west side of my house away from the main growing area, it’s a constant battle to keep it watered, but a few fresh raspberries are well worth the extra effort. 16 Pea Pods: Counted by the pod. Both shelling peas and snap peas are counted here, it takes about 40 pods of shelling peas to get one cup of fresh green peas. 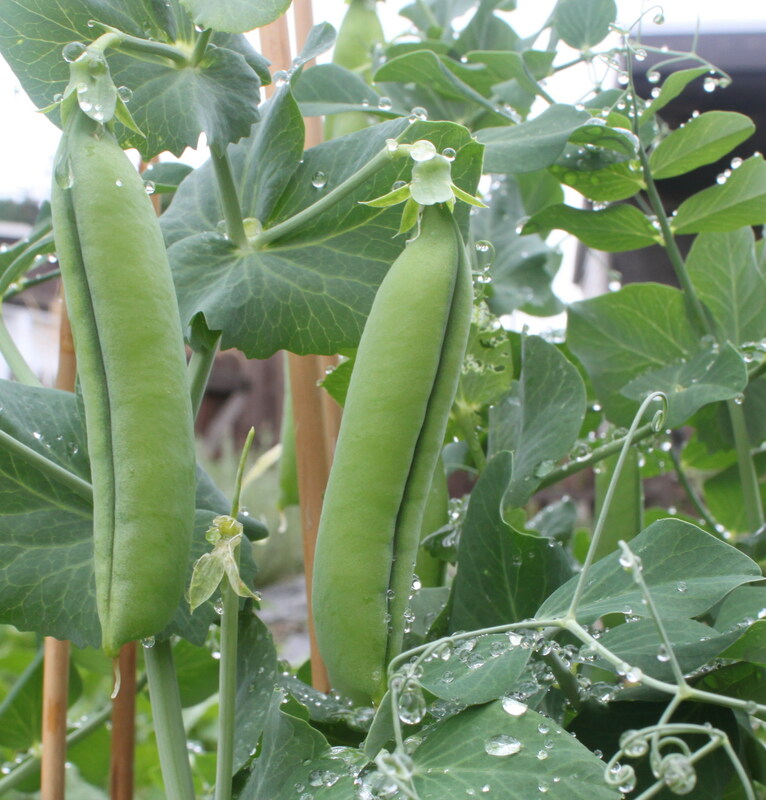 If you are not a fan of green peas you really have to try them fresh out of the garden, or at the very least grow them for their edible leaves and shoots. One of my very favorite garden treats. 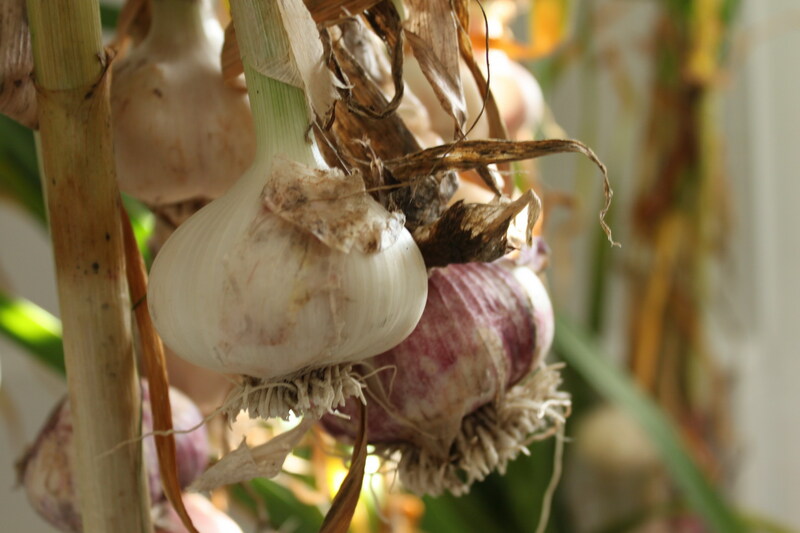 54 Garlic Bulbs: this year I am attempting to grow all my families garlic plus enough for seed garlic. 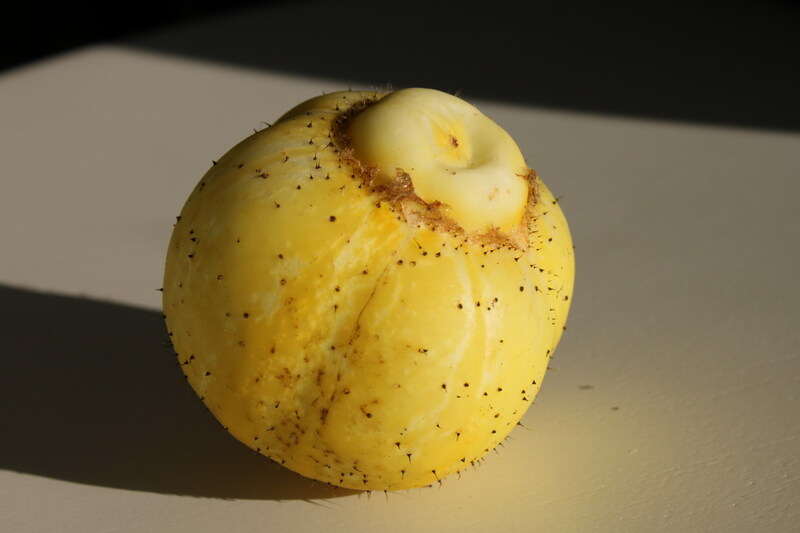 I devoted about 10% of growing space just for garlic, I planted 85 seed garlic cloves last fall and harvest 83 bulbs in the summer. 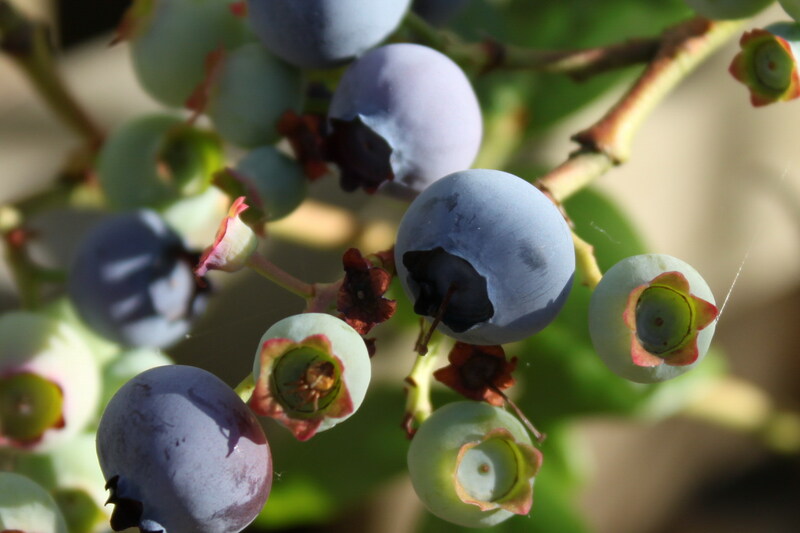 0 Blueberries: Counted by the berry. This is a heart breaking category for me, most of my crop was wiped out by mummy berry, then just when it looked like I might get a pound or two, some crook help themselves and picked my entire blueberry patch clean and the strawberry patch and the zucchini patch! 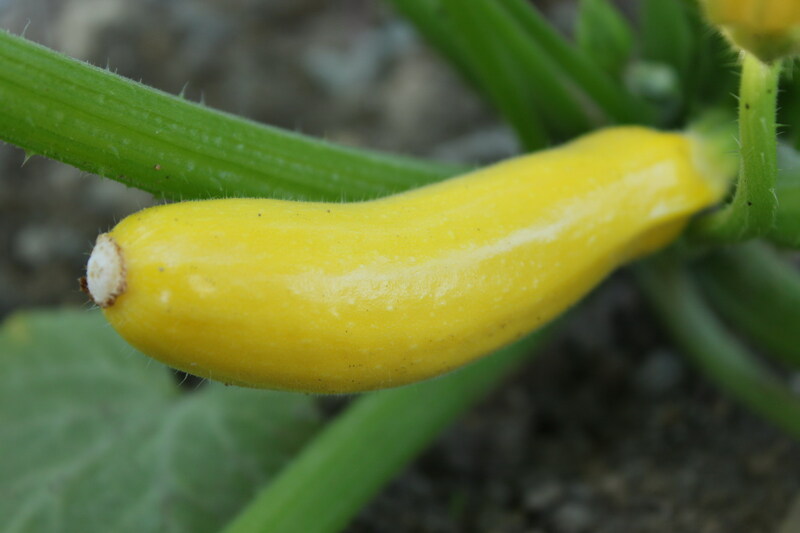 that tastes dramatically different fresh, okay everything tastes better fresh but I would class summer squash up there with peas in the pod. I would have had many more squash this year but someone is stole them. 0 Cabbages: Counted by the cabbage. I love the look of cabbages in the garden, flavor wise of course they are better than what you get at the super market but for me they are not one of these “wow” phenomenally better out of the garden vegetables. 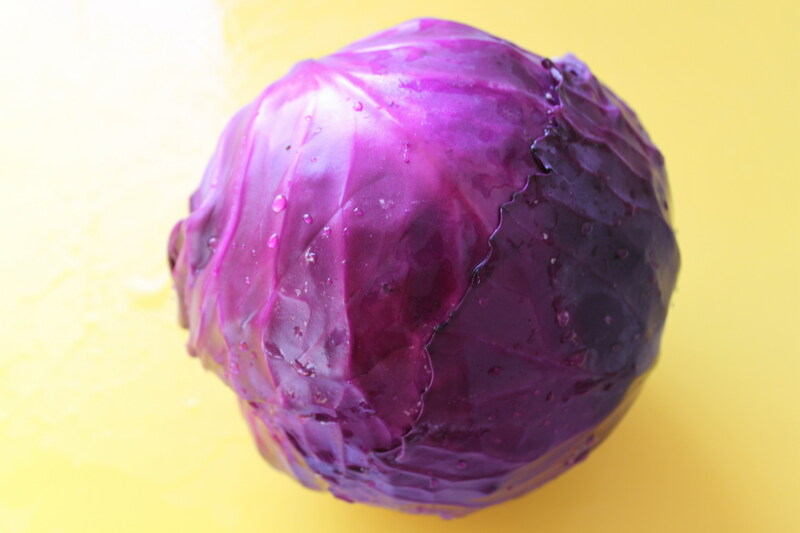 I like growing cabbages because they are pretty and easy to grow. easily polish off about 500 grams of green beans per meal, although we tend to eat green beans as a meal not a side dish. 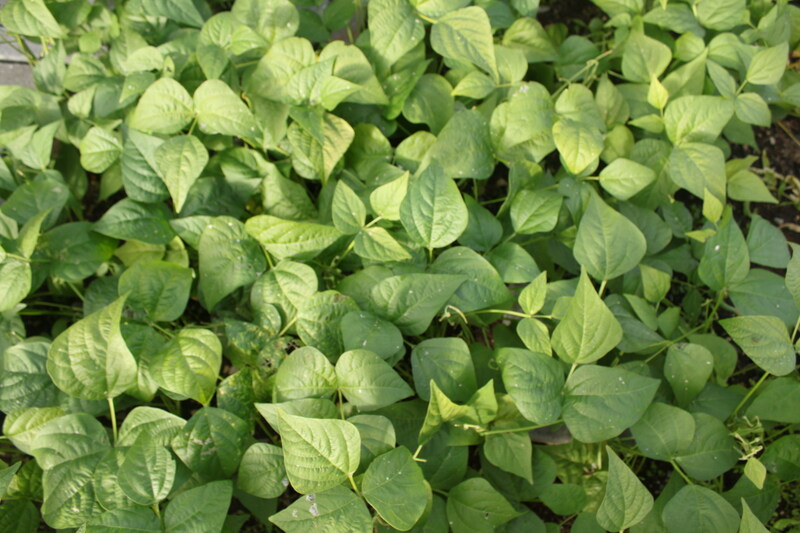 Green beans are so easy to grow it’seasy to get carried away and end up with more than you can possibly eat. 0 Tomatoes: Counted by the tomato. Do I need to say anything about tomatoes? 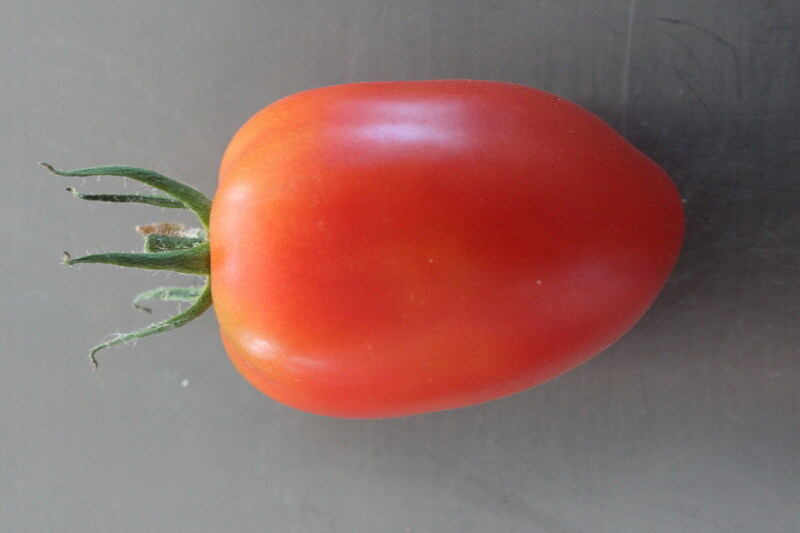 They are so, so, so much better fresh out of the garden, they are hard to grow and finicky in our climate but prized by all gardeners because there is nothing quite like a garden fresh tomato. 0 Gooseberries: Counted by the berry. This was a disappointing harvest for me there were so many flowers on the gooseberry bush they just didn’t come into fruition? No idea what happened here, hoping for a better year next time. 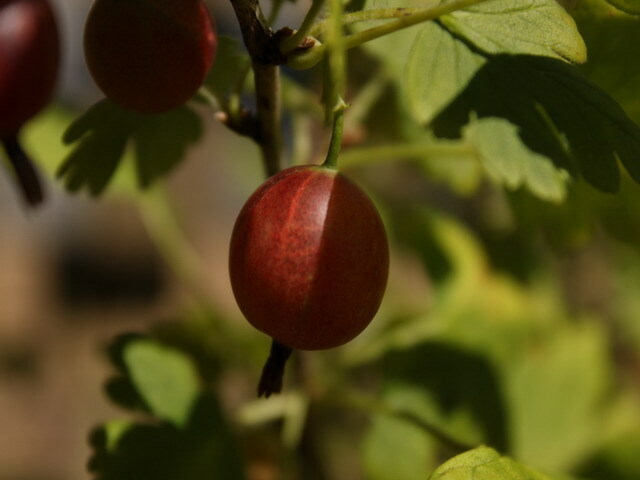 Fresh red gooseberries are fantastic sweet and juicy like grapes. garden magic, the above ground potato plant is somewhat uneventful and not so prolific but finding all the tasty spuds hiding beneath the soil is quite special. 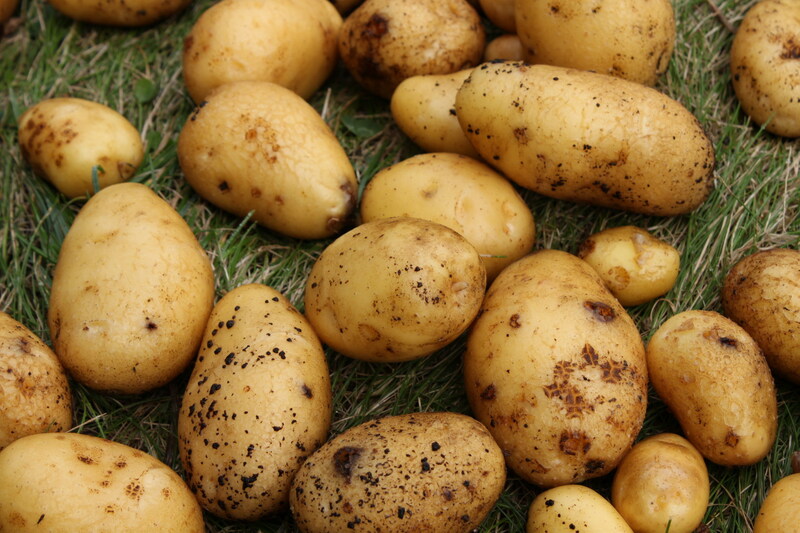 Fresh potatoes are so much better than store-bought its surprising. attempt at cucumbers I only grew these little lemon like ones, they are so yummy out of the garden you can just eat them like an apple no salt or anything necessary! Just watch out for the thorns, who knew cucumbers fresh off the vine are covered in prickles? 0 Beets: Counted by the beet. I started tons of beets and had the seedlings thinned back to 40 at about the 2″ stage. Unfortunately they fell victim to my non-watering ways and only 4 little beets lived to tell the tale and be made into salad! Oh well there is always next year. 0 Winter Squash: Counted by the squash. 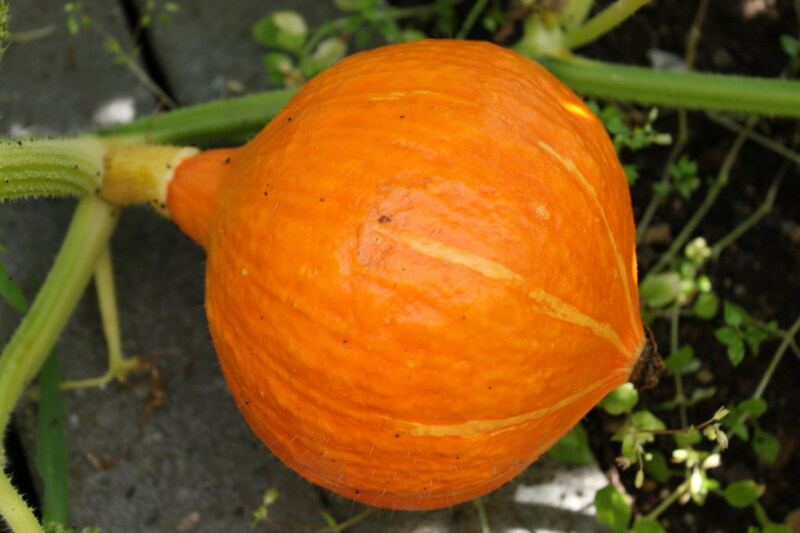 My “huge” winter squash harvest I started 4 winter squash plants but only ended up with 2 squashes to show for it. They were very yummy and even my squash hating husband ate the winter squash risotto I made so they must have really been good. 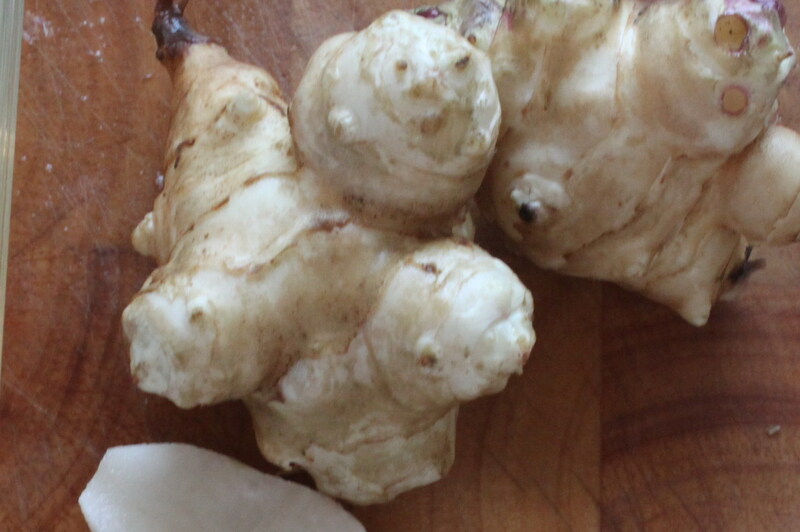 0 Jerusalem Artichokes: Counted by the tuber. These are also called Sun chokes they are the root of a sun flower like plant, I don’t think they taste like artichokes but they are an easy to grow perennial food plant. 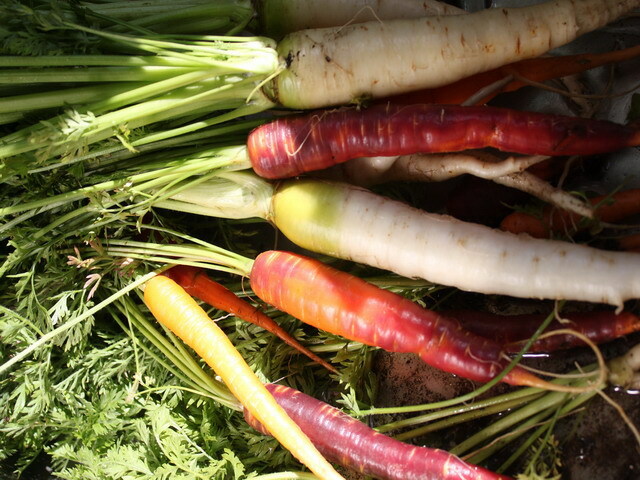 They are somewhat of a forgotten veggie seem to be making a comeback now a days. 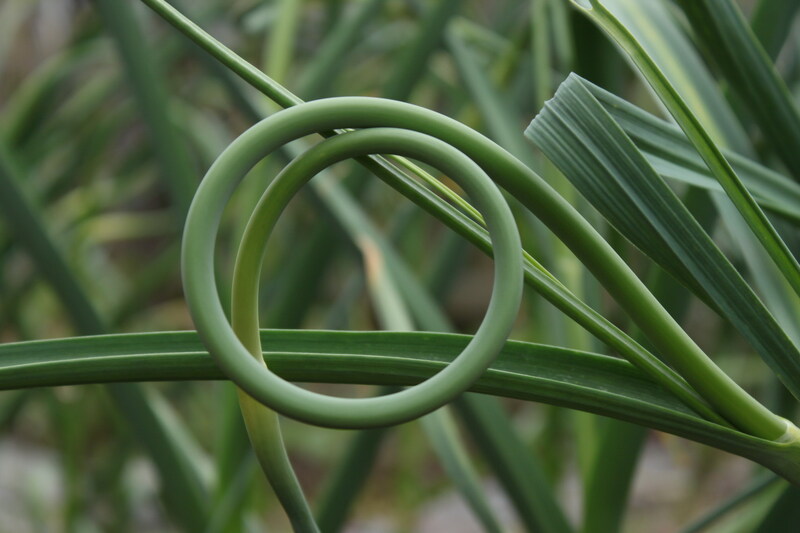 Please note due to the sheer volume of perennial herbs that grow in my garden I am not tracking perennial herbs or green onions anymore, even a small garden seems to give an infinite supply of seasoning perennials.